BELOW MARKET PRICE!!! Appraised for $412,000! A GREAT VALUE. 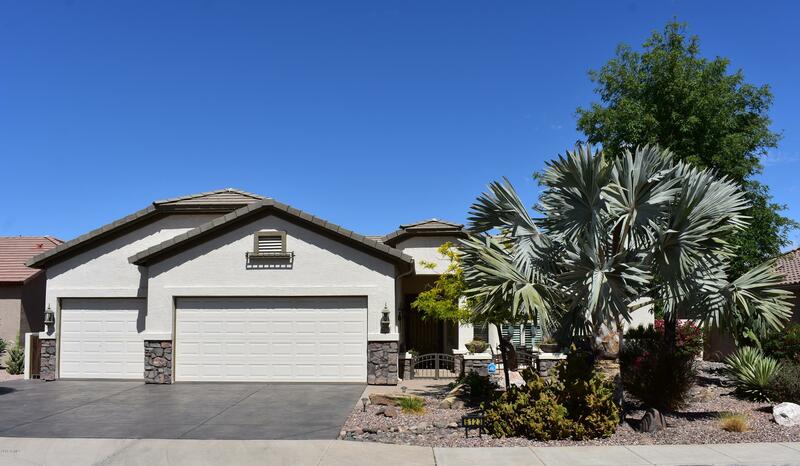 This 3 Bedroom 2 Bath home is professionally landscaped, with water feature and built-in BBQ. The extended rear covered patio is great for entertaining while overlooking golf course. Ceiling fans throughout, R/O, soft water loop, water softener, and wired for surround sound. 3 car extended garage with more-than-enough built-in cabinets. 55+ community. GREAT LOCATION ! CALL YOUR AGENT TO SEE IT TODAY!